A base paint is applied to the wood for consistent color coverage. A flood coat of glaze is then applied and hand-wiped, leaving behind soft tones in the corners and recesses of the door. Next, a highlight glaze is brushed into the corners and recesses by hand to emphasize the subtle variations in color. 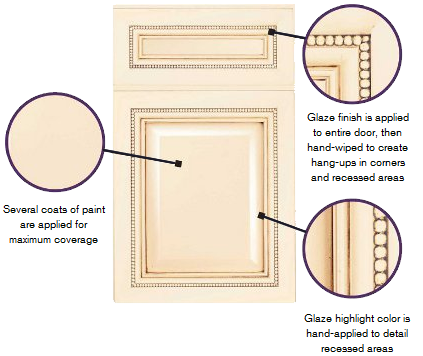 Glazing is a finish process that involves two hand-detailed techniques, so no two doors look exactly alike. The initial flood coat of glaze softens the original base color. 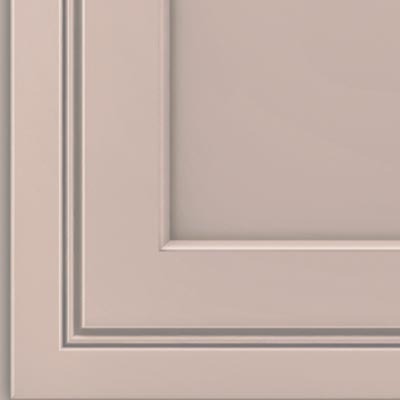 The highlight glaze increases visual depth and interest in the corners and recesses. A veneer center panel absorbs more of the glaze resulting in a slightly darker color than on the solid wood components of the door frame.